The newest branch on the blossoming Cycle Chic tree - Cycle Chic Estonia. Welcome, welcome. Wonderful to see. Cool picture. 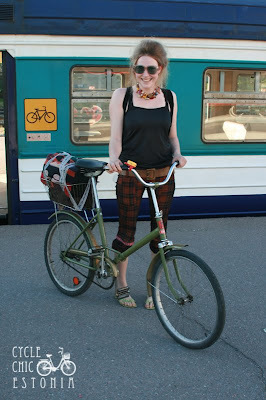 I visited Tallin, Estonia several years ago and remember seeing a lot of bikes (at least compared to the States). Great picture. Too bad it is the last one I'll see from your blog, since I'm deleting it from my newsreader, now that you make us click thru to see the photo.